The ADS1115 and ADS1015 4-channel breakout boards are perfect for adding high-resolution analog to digital conversion to any microprocessor-based project. These boards can run with power and logic signals between 2v to 5v, so they are compatible with all common 3.3v and 5v processors. As many of 4 of these boards can be controlled from the same 2-wire I2C bus, giving you up to 16 single-ended or 8 differential channels. A programmable gain amplifier provides up to x16 gain for small signals. These two boards are very similar, differing only in resolution and speed. The ADS1115 has higher resolution and the ADS1015 has a higher sample rate. Cut the supplied header strip to length and insert it long-pins-down in your breadboard to hold it for soldering. Place the breakout board on the header pins. Solder each pin for a good electrical connection. First connect VDD and GND. These boards will work with either a 3.3v or a 5v supply. The diagram below shows connection to the Arduino 5v pin. The absolute maximum analog input voltage is VDD + 0.3v. To avoid damage to the chip, do not attempt to measure voltages greater than VDD. I2C requires just 2 pins to communicate. These can be shared with other I2C devices. For R3 and later Arduinos (including MEGA and DUE models), connect SDA->SDA and SCL->SCL. The ADS1x15 breakouts support up to 4 SIngle Ended or 2 Differential inputs. Single Ended inputs measure the voltage between the analog input channel (A0-A3) and analog ground (GND). Differential inputs measure the voltage between two analog input channels. (A0&A1 or A2&A3). Single ended inputs give you twice as many inputs. So why would you want to use differential inputs? Single ended inputs can, by definition, only measure positive voltages. Without the sign bit, you only get an effective 15 bit resolution. In addition to providing the full 16 bits of resolution and the ability to measure negative voltages, Differential measurements offer more immunity from electromagnetic noise. This is useful when using long signal wires or operating in an electrically noisy environment. This is also desirable when dealing with small signals requiring high gain, since the gain will amplify the noise as well as the signal. Connect the signal wire to one of the analog input channels (A0 - A3). Connect the ground wire to GND. This diagram shows how to connect an ADXL335 to for measurement of the X, Y and Z axis on analog channels A0, A1 and A2. Differential measurements use a pair of input pins, either A0&A1 or A2&A3. The following diagram shows connections for differential measurement of the battery voltage on a LiPo charger board. All input signals to these devices must be between ground potential and VCC. If your source signal produces negative voltages, they must be offset to fall within the GND to VCC range of the ASD1x15. 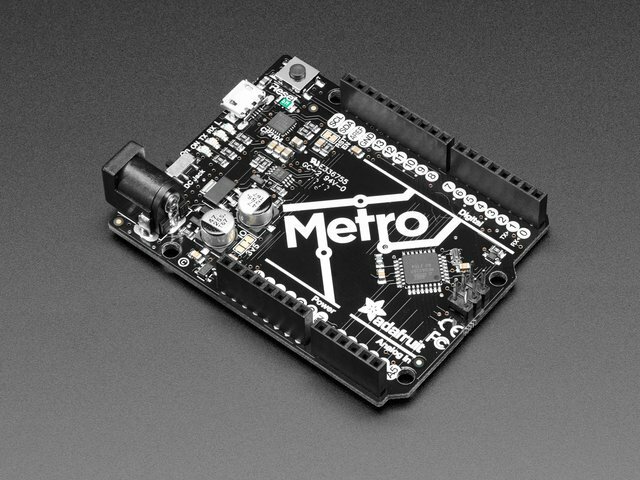 The Adafruit_ADS1x15 library supports both single-ended and differential readings as well as comparator operations on both the ADS1015 and ADS1115 breakout boards. The library uses the wiring library for I2C communication, so wiring.h must be included. Initialize the ADC for operation. The following examples assume an ADS1015 and use a 3 mV/bit scaling factor. For the higher-resolution ADS1115, the scaling factor would be 188uV/bit. Perform a single-ended analog to digital conversion on the specified channel. Perform a differential analog to digital conversion on the voltage between channels 0 and 1. Perform a differential analog to digital conversion on the voltage between channels 2 and 3. Comparator mode allows you to compare an input voltage with a threshold level and generate an alert signal (on the ALRT pin) if the threshold is exceeded. This pin can be polled with a digital input pin, or it can be configured to generate an interrupt. Set the threshold and channel for comparator operation. Get the last conversion result and clear the comparator. It's easy to use the ADS1115 and ADS1015 ADC with CircuitPython and the Adafruit CircuitPython ADS1x15 module. 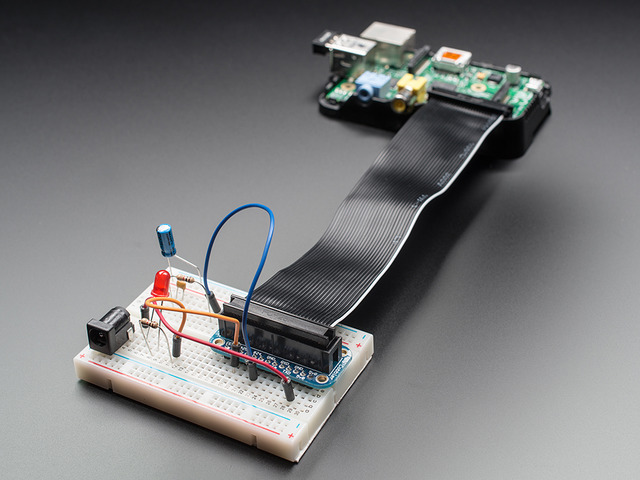 This module allows you to easily write Python code that reads the analog input values. You can use this ADC with any CircuitPython microcontroller board or with a computer that has GPIO and Python thanks to Adafruit_Blinka, our CircuitPython-for-Python compatibility library. Board 3V to ADS1115 VDD - Remember the maximum input voltage to any ADC channel cannot exceed this VDD 3V value! Pi 3V to ADS1015 VDD - Remember the maximum input voltage to any ADC channel cannot exceed this VDD 3V value! Next you'll need to install the Adafruit CircuitPython ADS1x15 library on your CircuitPython board. You can also download the adafruit_ads1x15 folder from its releases page on Github. Before continuing make sure your board's lib folder or root filesystem has the adafruit_ads1x15 and adafruit_bus_device files and folders copied over. Note that we are renaming each import to ADS for convenience. which provides behavior similar to the core AnalogIn library, but is specific to the ADS1x15 ADC's. Now let's see how to get values from the board. You can use these boards in either single ended or differential mode. The usage for the two modes are slightly different, so we'll go over them separately. To set up additional channels, use the same syntax but provide a different pin. Now you can read the raw value and voltage of the channel using either the the value or voltage property. You can create more channels by doing this again with different pins. However, note that not all pin combinations are possible. See the datasheets for details. Both the ADS1015 and the ADS1115 have a Programmable Gain (PGA) that you can set to amplify the incoming signal before it reaches the ADC. The available settings and associated Full Scale (FS) voltage range are shown in Table 3 of the datasheet. The value changed from 84 to 1335, which is pretty close to 84 x 16 = 1344. However, the voltage returned in both cases is still the actual input voltage of ~0.168 V.
The above examples cover the basic setup and usage using default settings. For more details, see the documentation. This guide was first published on Nov 29, 2012. It was last updated on Nov 29, 2012.